It started with a pair of day care toddlers eventually meeting up at the age of 5 to play catch on the Normandy High School baseball diamond. Zac Lowther and Nick Margevicius would take such early and humble beginnings to build a path taking them to a place every youngster dreams about when lacing up the spikes, putting on the glove and swinging a bat. Lowther (Xavier University, Cuyahoga Heights High School) and Margevicius (Rider University, St. Ignatius High School) made their families, communties, schools, teammates and friends so proud, by being selected in the 2017 Major League Baseball Draft. Lowther, a junior left-handed pitcher, was taken in the 2nd round, 74th overall, by the Baltimore Orioles. Margevicius, a junior southpaw pitcher as well, was taken by the San Diego Padres as the 198th player overall in the 7th round. Lowther’s 2nd round selection makes his draft position the highest ever for a Xavier player. He was the 32nd pitcher taken in the draft, the 20th college pitcher taken, and was the 8th overall left-handed pitcher taken by a MLB team. 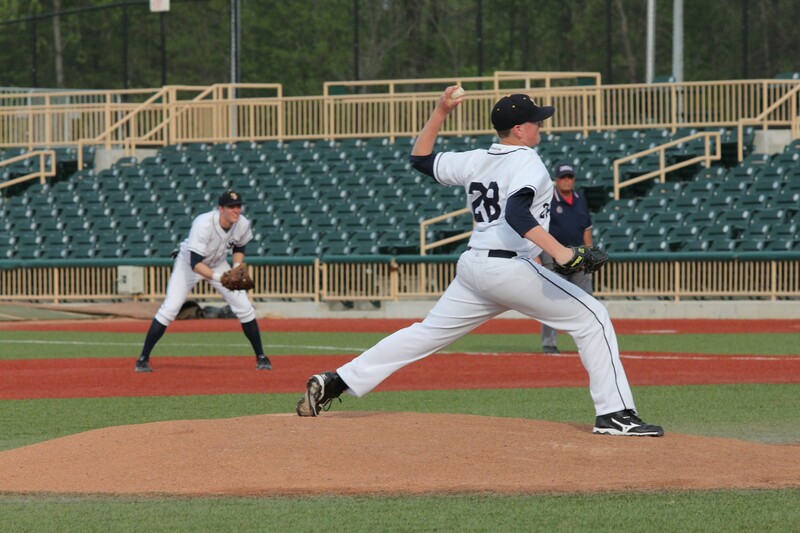 A top MLB draft prospect all season, Lowther, 6-2, was an all-Big East First-Team selection and set a single season record for Xavier in strikeouts with 123 and an earned run average of 2.92. Lowther led the prestigious Cape Cod League in strikeouts last summer. Lowther was coached by his dad Marc at Cuyahoha Heights High School where the 2nd round draft pick led his team to a state final in 2012. Margevicius is the 64th Rider University player to be drafted by a MLB team, and is the second-highest Rider player to be taken since Ken Kramer in 1988. Margevicius, who also led his high school team (Cleveland St. Ignatius) to a state championship game, made the Metro Atlantic Athletic Conference (MAAC) first team this year, while earning second team honors as a sophomore. The family ties do bind here with the dads of these two talented college, soon to be professional players, growing up together. Margevicius’ dad, Mark, grew up with Marc Lowther playing baseball in Brooklyn together, as well as Cleveland’s Big F League. Marc Lowther is also an assistant football coach at Cuyahoga Heights who crosses paths with Mark Margevicius, who officiates scholastic football. Margevicius said that playing baseball was a dream of his since he was 3-years old. Perhaps that dream began on the field at Normandy High School those many years ago. Two kids growing up to be fine adults, and doing the right things in making their own paths towards successful careers are certainly setting a good example for other student-athletes to follow. Yes, this is the stuff that dreams are made of.